The signature plugin is working on all our sites as expected and there are no known issues. We are not familiar with a ‘serialize’ message or error. Are you able to provide a screenshot of the error? Check the plugin’s SETTINGS tab that the “Enable local PDFTK” option is not checked. If not checked and the signature is not merging, we are happy to take a look at your installation if you complete this form. Otherwise provide us with more information and we’ll try to help you troubleshoot the issue you are having. I have patched the problem before in your plugin it’s related to php versions php serialize working differently across what does your server php run on ? We are running PHP version: 5.6.30 and are not planning on upgrading at this time. 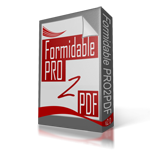 However, we are going to release a new (replacement) version of PRO2PDF, called e2Pdf, in March 2018. The new version is using the latest PHP release.